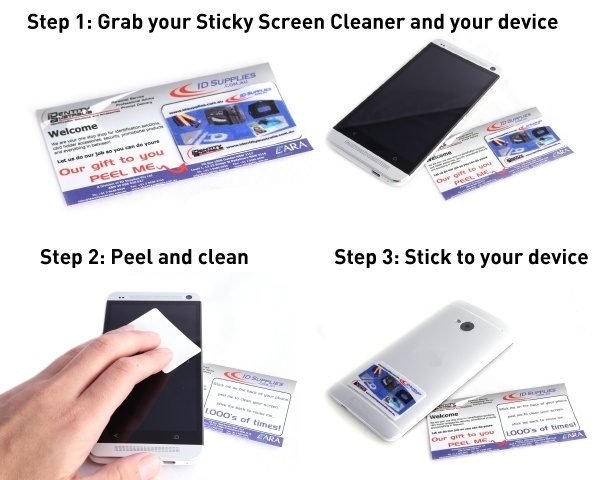 Promotional sticky screen cleaners are one of the newest promo products on the market and we're not only proud to have them in our collection, we are proud to have them as our very own promotional item. once your screen is clean, stick right back to use next time. No more accomodating your promotional items at a specific device, brand or model, now you can cater for all devices, all brands and all models big and small. If you need help at any point please call us on 1800 330 099, we can help find the right sticky screen cleaner for you.